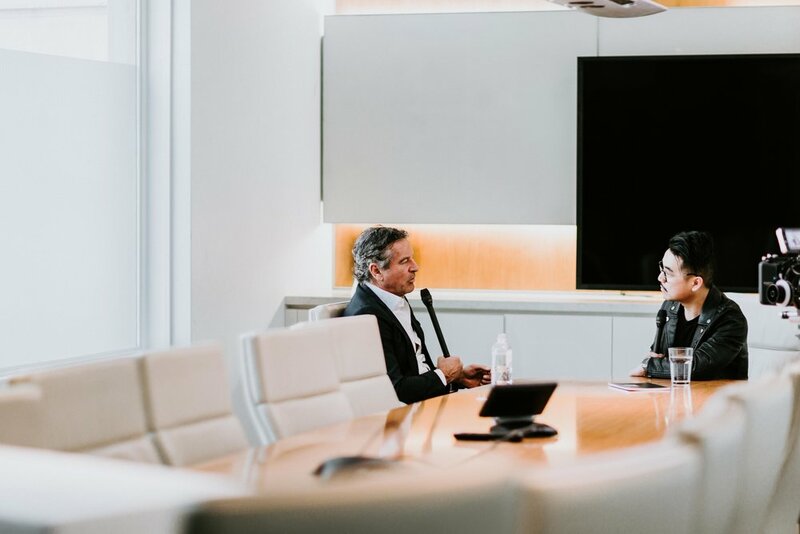 We interviewed one of Australia’s most respected and successful entrepreneurs and businessmen Mark Bouris on topics ranging from being resilient in business, finding happiness, social media, mentoring and the importance of compound. Taking risks, setbacks and mistakes are part of the learning process and the more you learn from your mistakes along the way, the more successful you’ll become. In any situation in life, business, work, school, TAFE or uni, we need to be resilient in these environments and situations. Check out this video of Mark use the analogy of swimming at the beach and acclimatising yourself to the temperature of the water overtime as an example of how to build resilience. Mark quoted renowned scientist Albert Einstein who said, “the most powerful force in the world today is the power of compound.” This was Mark’s response to Matt comment on how if business people neglect important problems, problems that may have negative impact, the problems just “compounds” or gradually grows, but still grows bigger and bigger like a bill being ignored. Mark and Matt both agree that social media plays a vital part for any business to promote themselves and their services to a broader audience. Watch the video below to find out more about how social media is creating new jobs. The first type of mentoring is life guidance via observation. In other words, seeing what others do and learning from their mistakes and copying what made them successful. Mark uses the examples of some of his school teachers and football coaches when he was a kid who influenced him in a positive way. Can you execute on it? Do you have the mental ability to execute on it? Do you have the backing to do it? Are you the right person to be in business? Mark says that the main goal of mentorship is “to get people to think for themselves” although, in some circumstances, the mentor can offer an opinion.